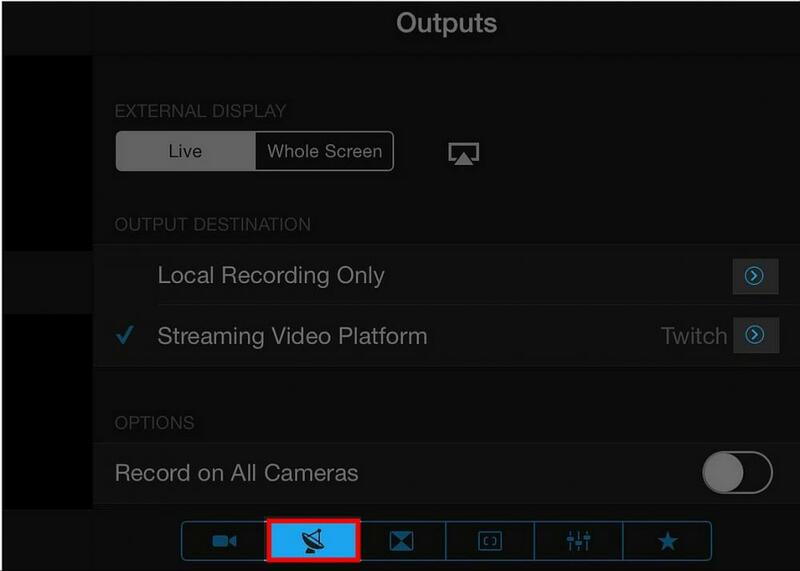 Setting the correct stream parameters is a common problem. Applying the right settings can be very confusing if you don’t fully understand video phrases like “video resolution” and “video bitrate”. Without setting these values correctly, your stream may lag, buffer, pixelate, or even fail to broadcast. We have fixed this problem by implementing a Speed Test to automatically assign your stream parameters based on the results of your Internet connection and upload speed. 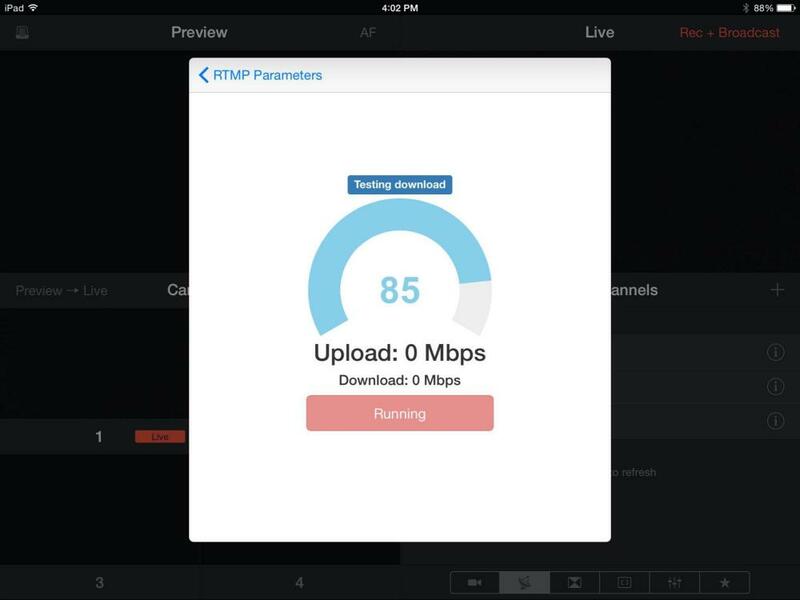 To begin the Speed Test, open the Outputs Tab in Switcher. Choose the channel you wish to run the Speed Test on, and tap the "i" icon to edit settings. 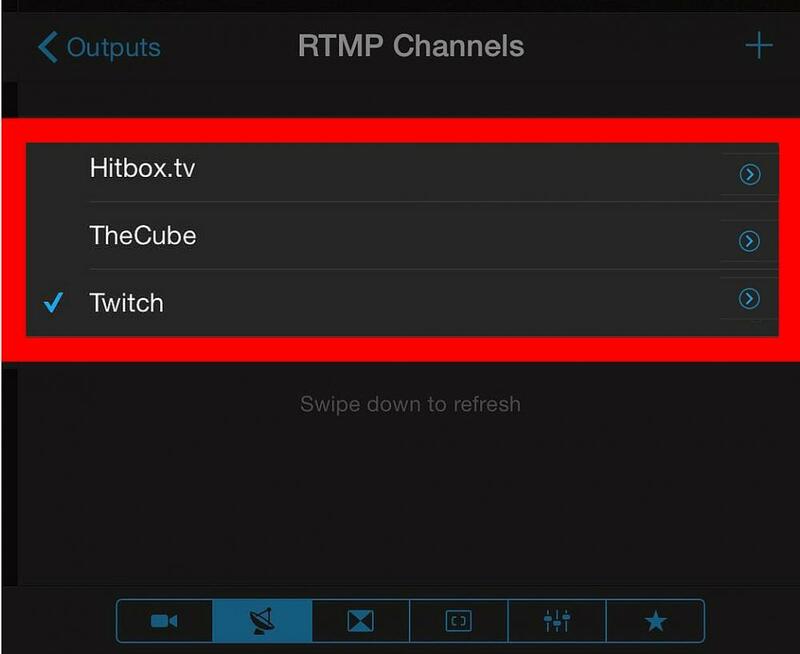 For help setting up your stream channels, check out our Streaming Knowledge Base. The Stream Parameters tab will open. Click “Speed Test” in the upper right corner. The test will begin automatically. 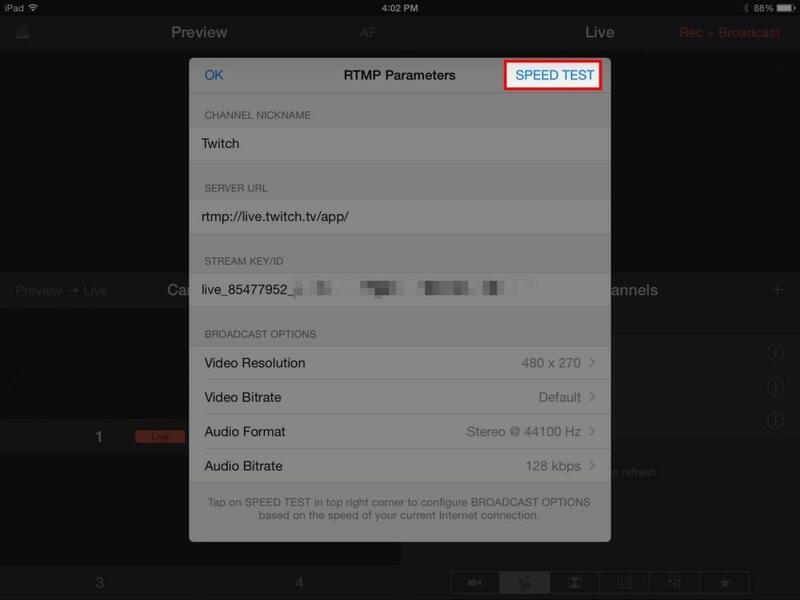 Once the test is complete, tap “Save” to reconfigure your stream settings based on the results. Your new settings will show up in the Stream Parameters tab, configured for best results with your Internet connection. The size of the streaming video must never exceed the upload speed of your internet connection. 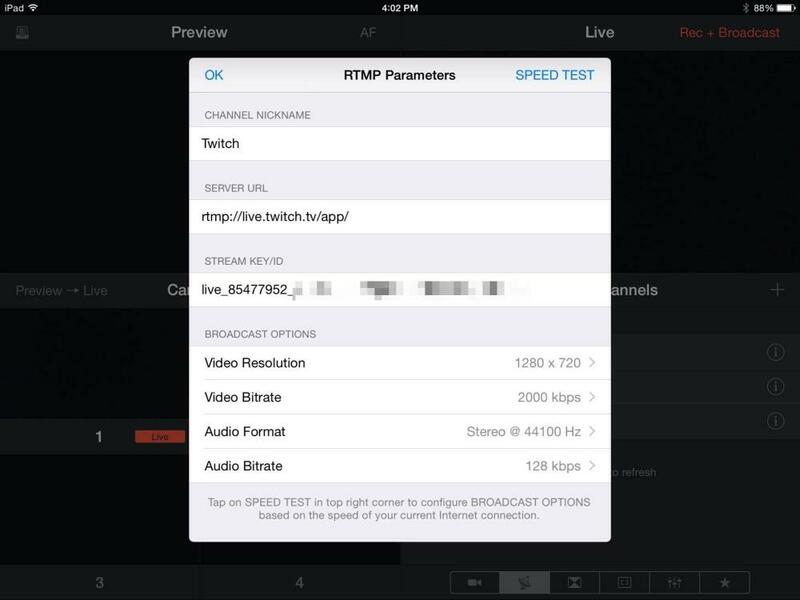 Switcher lets you configure the size of your video, called the "Video Bitrate". To check your upload speed, download the SpeedTest.net application and test your connection. The second number returned during the test is the upload speed. When configuring the streaming settings in Switcher Studio, you will pick a Video Bitrate less than your upload speed. Here are some common Bitrate and Resolution settings. If you have trouble streaming, pick a lower-quality setting and try again.